Shopping around for a new vehicle can be overwhelming, and we understand that. At Carl Black Kennesaw, your GMC dealer, we want to help. One of the ways we have learned to minimize the stress of car-buying is to help our customers narrow their search. One of the ways to do this is the get a clear picture in their minds of exactly what they want. Then, we show them what we can offer. Our inventory includes hundreds of new GMC models with just as many pre-owned, affordable low-mileage vehicles as well. Our customers trust us at Carl Black Kennesaw because they know we will help them find the perfect vehicle for their needs and budget. We want them to think of us as a one-stop GMC dealership. There are many reasons to choose us as your local GMC dealer, but for now, we want to give you four great reasons to consider. From our extensive inventory (28 acres worth) to our excellent customer service, let us give you a few more reasons why you should come visit us and see for yourself! At Carl Black Kennesaw, we are known for our financing options. That’s because we do our best to ensure that we can help you take advantage of all the available incentives, discounts, and rebates. At our GMC Dealer, we want to offer you our best so that you are able to drive away confident that you got the best price, and that our helpful financiers worked tirelessly. We don’t want you to feel nickel and dimed, and with our finance experts, you never will! One of the reasons customers choose Carl Black Kennesaw for their car-buying experience is that our financing is highly competitive. So, whether you are in the market for a loan or a lease, we will make it a priority to get you the appropriate terms that fit you and your budget. From the lesser known to the most well-known deals and rebates, our finance team is always informed on what our dealership and the manufacturers are offering. This is another reason our financing options are able to remain so competitive among other dealerships in the area. We have connections with many local financial institutions, ones that you know you can trust. We are a local staple, and many of our customers know us by name, so we want to maintain our reputation of being fair and honest by helping you get a great deal using our local connections. If this is the best route for you, we will speak directly with national lenders on your behalf. There’s no need to worry about having to secure financing from a national lender by yourself. And we will even make sure an appropriate monthly rate is set up to fit your needs and budget. Don’t even think twice about your credit rating! From poor credit to the best credit, we will do our best to work with you and secure the financing that you need for your new vehicle. So, don’t worry! You can even fill out a pre-approval form online to give you peace of mind. Our helpful and knowledgeable staff work hard to get you the best price and to save you money, but we also want you to feel as if you are getting the best customer service possible. So, when you meet with us in our showroom we will strive to make the experience fun and exciting for you. We will let you look at absolutely every vehicle that interests you. We will also be happy to hand over the keys and let you drive us around! We love the test-driving experience and we know you will too. Our goal is to make you feel welcome the second you step inside the showroom. Our staff is friendly and professional, and we know what to do to put your mind at ease. We know that the best way to provide service to you is to get to know you personally and provide an experience that caters to your specific needs. To us you’re not just a number in a quota roster, you are a person and we want to know we are making you happy! The service center at our Carl Black GMC dealer has the best, certified technicians. We know they are the best because they have the ability to perform any service you would require from brake repair to an oil change. From complex computer diagnostics to a transmission flush, a wheel alignment, or tire rotation they are here to service your needs. The service technicians at Carl Black Kennesaw are also known for their skillful bodywork and can even do many major car repairs for a fraction of the cost of our competitors. Need a car part replacement? Our parts department will speak directly to the manufacturer and can get you the genuine OEM part replacement in little to no time at all. Our GMC dealer also has a rotating parts list and we know all of the specials you can get on accessories, again for must less than what our competitors would charge you. For our customers who prefer to buy used, we also have an extensive used and certified pre-owned selection as well. Choose Carl Black Kennesaw as Your GMC Dealer! 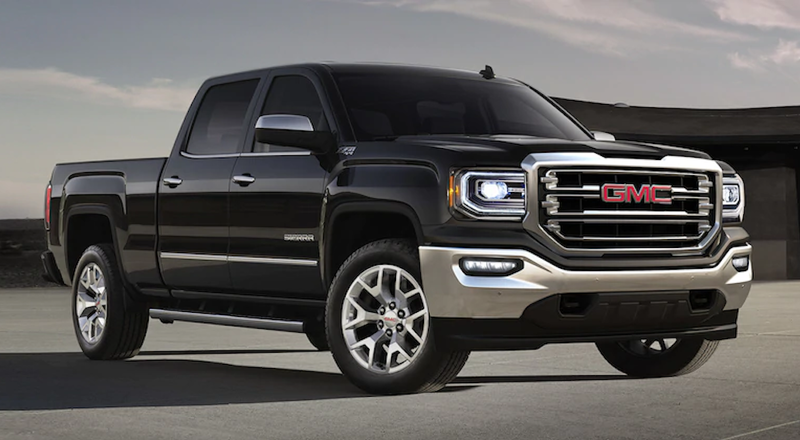 At Carl Black Kennesaw, of Kennesaw GA, we have the most diverse selection of new and used GMC vehicles. And what GMC is doing right now should excite you. We have a wide variety of crossover vehicles that combine the heftiness of a work truck with the luxury and style of a crossover SUV. At Carl Black Kennesaw we aren’t just a GMC dealer, we are vehicle enthusiasts. We pride ourselves in the knowledge of all vehicles, so whether its one of our award-winning GMC trucks or SUV’s you are looking for or one of our vast used vehicle selection, we are sure to have the answers for you. And if you still aren’t convinced, come see for yourself. Take a gander at our website, or come check us out in our showroom in Kennesaw, GA. We are a local staple and our loyal customers are happy to know us by name. They can attest to how we excel in customer service. We are knowledgeable, friendly, and we care about the customer’s needs. Our skilled and helpful sales representatives can’t wait to meet you. So, don’t hesitate to get in touch with us today!